Tips On How To Save On Accommodation in Sydney - GoingAbroad.org - Inspiring Around-The-World-Travel!GoingAbroad.org – Inspiring Around-The-World-Travel! 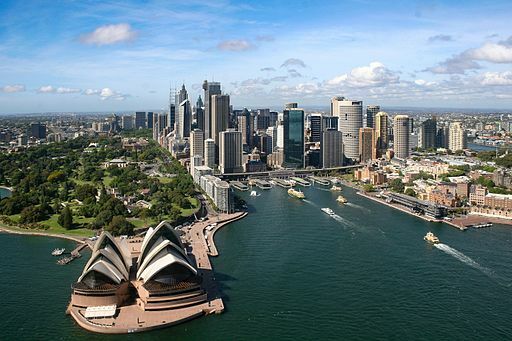 There is a reason why Sydney, Australia is one of the most visited places in the world. In every corner of the city, you are met with its glitz and the thrilling sites unique to it. After dark, there is always a new band to listen to, new restaurants to eat at, and new bars to check out. National parks also ring around the city, penetrating urban buildings and shops with lush greenery and the occasional critter. But Sydney is also known for its view of the harbour. Its rugged Pacific coastline is what makes the city so exquisitely jarring. When you go to a trip in Sydney, it has to be an all-out vacation. The itinerary should be jam packed with activities and sites that will give you a holistic experience of the city. You can even go as far as treating yourself to top-notch hotel accommodation in Sydney. Of course, some of us have a strict budget we need to follow and living it up might mean looking for accommodation that can suit the allowed expenses. Finding ways to save money on accommodation does not mean crossing out the hotel option. Sydney is teeming with amazing hotel accommodation, all you need to do is to stay there for more than a night. Yes, if you live on the other side of the world you will most likely spend a few nights in Sydney. But watch out for hotel promos that can give you a discount for a minimum number of nights. For instance, there are Stay 4 nights, pay for only 3 nights promos that might be available on your check-in date. Everyone is aware of peak vacation times. Globally, it is mostly during celebrations like the Holidays, Easter, and Summer. But there are peak days at any time of the year, as well. These are days in which a city, like Sydney, get lots of visitors booking their accommodation. Prices usually double or triple during these days. Good news is, it is only Friday and Saturday. Prices seem to go down on Sunday, so you might want to adjust your trip schedule. Other than a hotel, there are other ways to get an accommodation that is safe and secure. Right now, the trend is to rent out apartments and suites with your friends. This is commonly called an airBnB where owners offer their condo units, apartments, and even their homes to visitors from another country. It is cheaper, and if you really want to feel like you are part of the community, it is a good way to immerse yourself in a different culture. Being able to choose a cheap accommodation for you is going to be a bit useless if the location to key places of interest is going to be a problem. Think about what you are going to spend for transportation just to get to the city centre. Choose a location where everything is accessible. One where if you are going to commute, the cost is not going to rip a hole in your wallet. Just remember that being in a city such as Sydney is all about being able to experience the vibrant life that exudes from it. Sydney is a unique city to visit because all that you might need for a vacation is presented to you in a golden plate. All you really need to do is to plan the trip well and to make sure you get experience, more than see, what Sydney is all about.